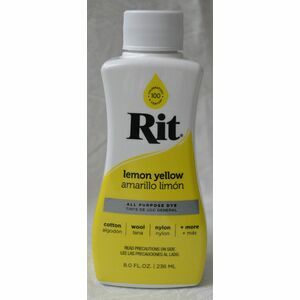 This will dye fabrics of Polyester Cotton Blends, Polyesters, Nylons, Acrylics and Acetates. 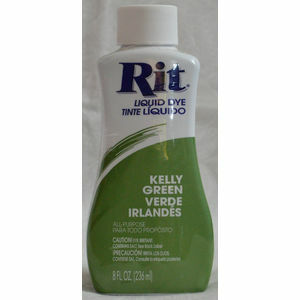 Package colour indicates approximate results when used on white fabric. 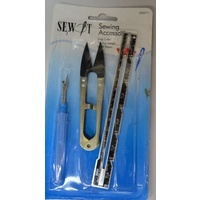 Never use on "Dry clean only" fabrics. 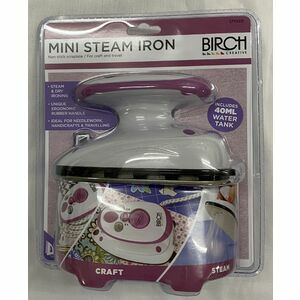 Stove top method is required for dying synthetic fabrics. 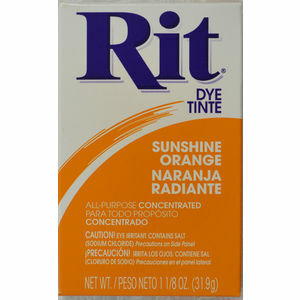 One package dyes 2lb dry weight, for polyester, double dye quantity. NB:- I know this sounds silly to most people having to state this. 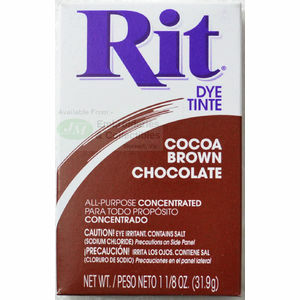 Please remember, if using this colour dye on an already pre-coloured fabric, the resultant colour will be a mix of those colours. 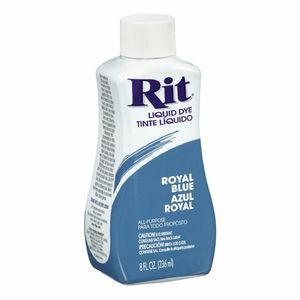 (ie using blue dye on red fabric will NOT result in blue fabric). I state this as we have had a complaint from a customer who attempted to dye dark blue jeans red, and complained that they turned out purple!!). 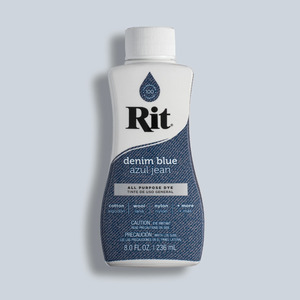 No matter what you plan to dye, whether it’s a pair of jeans or curtains, the first step is to choose the right dye for your fabric or material. Always check the care label for the fiber content of the item you plan to dye. 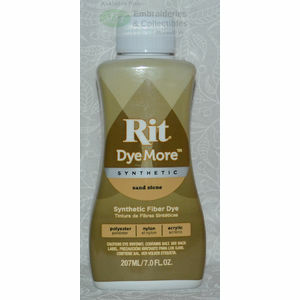 This dye is for synthetic fibers, which include polyester, acrylic, acetate and nylon. 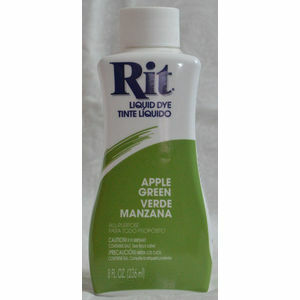 If you have a blended garment that contains more than 35% synthetic fibers, this is the dye you will need to use. 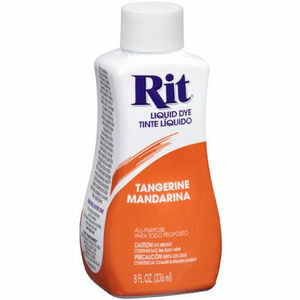 If you are dyeing a garment with less than 35% synthetic fibers, use Rit All-Purpose Dye instead. 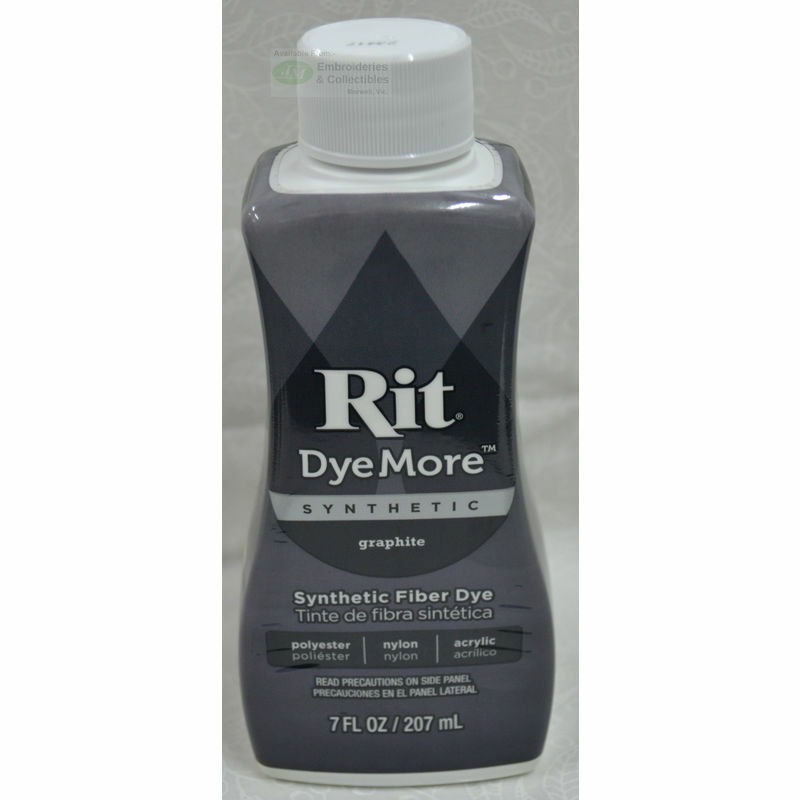 (2) you cannot use your washer because the machine won’t be able to achieve the water temperature needed for Rit DyeMore to penetrate the fabric. 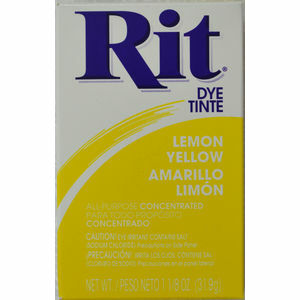 If the garment you are dyeing is white or off white, then you should be able to achieve true color. 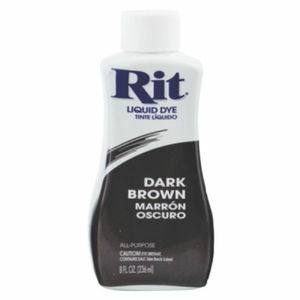 However, if your garment has an existing color, then your only option is to overdye it with a darker color. 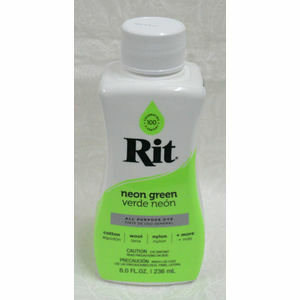 Unfortunately, Rit Color Remover will most likely not work on your synthetic garment. 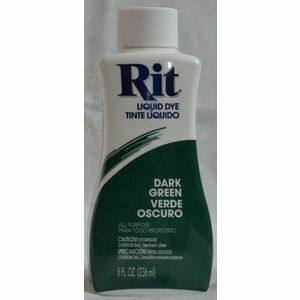 If you are dyeing something with a print or logo: If you use Color Remover, it will most likely not remove the color from a print or logo. 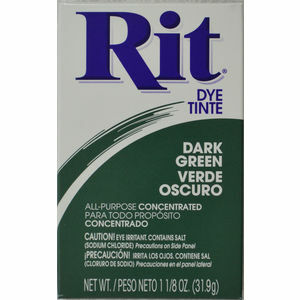 Accordingly, the color you choose to overdye with will mix with the existing color(s) in the fabric and create new colors. In other words, the rules of color mixing apply. When selecting a color, think about how it will mix with the colors in the pattern. For example, if you were to use a blue dye on a white item with a pink flower pattern, the pink flowers will turn purplish (blue and pink make purple) while the rest of the fabric will dye blue. Even if you were to overdye the patterned garment with a dark color, you may find that the color will appear lighter along the patterned area. 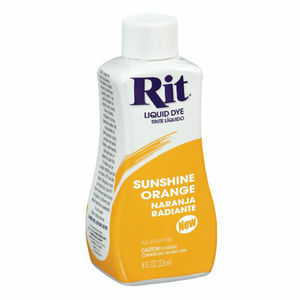 Sun and bleach actually damage fabric, making it very difficult to dye. 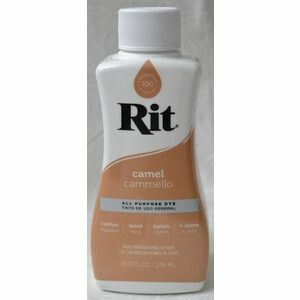 Unfortunately, that means we cannot guarantee dye will cover up the stains.